At the start of the visit, a meeting was held with the participation of BST management members and Maritime Transport Agency of Georgia to discuss the various aspects of security. The recommendations presented by the US Coast Guard based on their findings from last year were discussed at the meeting. The International Ship and Port Facility Security (ISPS) Code is an amendment to the Safety of Life at Sea (SOLAS) Convention (1974/1988) on minimum security arrangements for ships, ports and government agencies. Having come into force in 2004, it prescribes responsibilities to governments, shipping companies, shipboard personnel, and port/facility personnel to "detect security threats and take preventative measures against security incidents affecting ships or port facilities used in international trade." After the meeting, the US Coast Guard and Maritime Transport Agency representatives visited BST and the port itself. They also inspected the security points of the terminal. 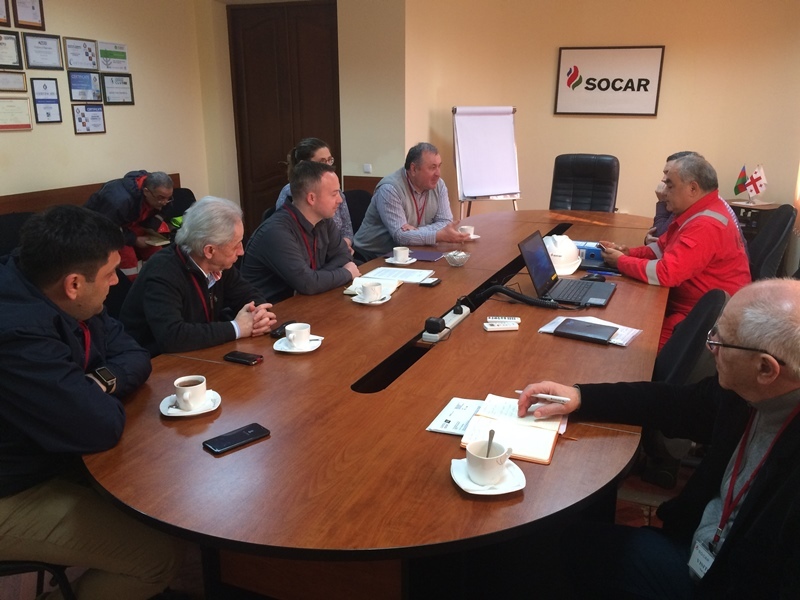 During the site visit, they introduced the security and HSE procedures that are implemented at BST and Kulevi Port. These included the Terminal Entry Procedure, security regulations, and BST’s emergency response procedures and so on. The guests stated that the procedures and plans implemented were in compliance with international standards and appreciated that company management considers the issues of security and safety to be its highest priority. As a result of these efforts, it is ensured that the security procedures and plans are always up to date and strictly followed, port facilities are always equipped with the necessary equipment and tools, the fire-fighting system is in proper working condition, the CCTV surveillance system is online and in proper condition and safety, restricted area and prohibition signs are always updated and in place. The security of the port facility and Black Sea Terminal as a whole has been one of the most essential priorities over the years, and every suggestion and recommendation received in this direction provides a valuable opportunity to increase BST’s standards and is vital to further development. BST management would like to express its appreciation to the US Coast Guard for their visit, which contributes to the sharing of good practices and experiences implemented in various countries throughout the world.